The Empower Sioux Falls Steering Committee has selected mentoring as its first near term focus area of involvement. The need for mentors is great. According to a 2014 National Gallup Student Survey, 47 percent of US youth said they lack hope, and 36 percent say they are not thriving. Having a mentor who is willing to spend as little as one hour per week with a young person can have a positive impact. As Christians, we are called to love our neighbor and care for those who are in need. One way to do this is by walking alongside someone to spiritually lead and influence them on their life journey. Big Brothers Big Sisters of the Sioux Empire seeks to change the lives of children facing adversity for the better, forever. Our Core Program mentors work with children in the community, in their schools, and many places in between. The purpose of the Amachi Program is to provide children of prisoners who face adversity with the potential to be at-risk for low achievement socially, emotionally and economically, with a mentor who is able to provide, support, stability, guidance and friendship, thereby helping the youth attain higher aspirations, greater confidence, and better relationships. Everyday Hero volunteers spend one(1) hour per week one-on-one with an elementary, middle or high school student at school. Mentors and students enjoy a variety of activities together, such as working in the computer lab, playing board games, reading a book, playing basketball or simply eating lunch together and talking. Genesis is a program for individuals and families striving to make difficult life changes to improve their ability to obtain or retain safe and permanent housing. 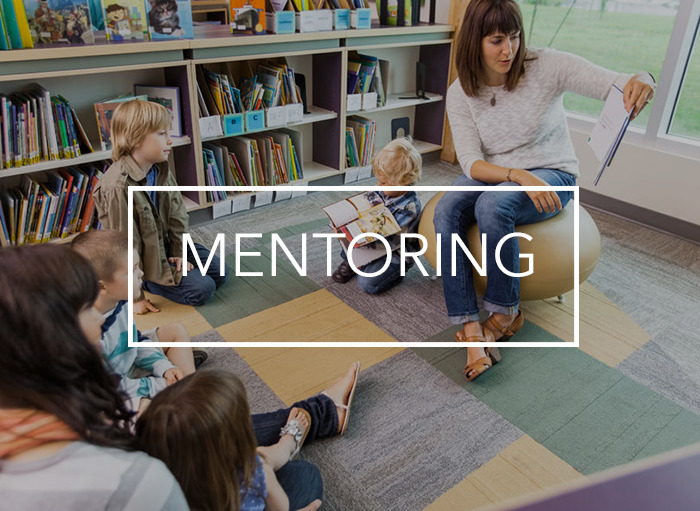 Mentee(s) and Mentors meet 12 times during an 18-week period; with 8 sessions focused on skill development and 4 sessions focused on relationship building and fun.